Encourage your child's budding interest in healthcare! 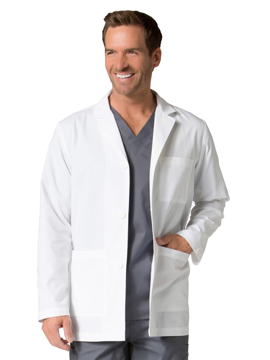 Gift them with this miniature three pocket lab coat. Perfect for dress up, art, or other activities. Please review the Landau Child's Size Chart for specific measurements. 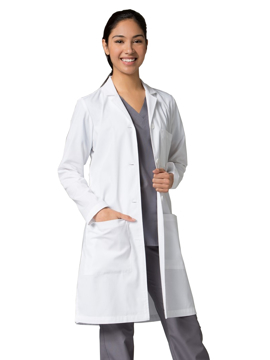 This lab coat provides durable stretch and comfort. Featuring two front slant pockets, wing lapel and front placket with five-button closure. Complete with edged stitched princess seams and multi-stitched waistband. Center back length: 31½". Rounded-neck line and 3/4 sleeve with slit. Princess seams with front double zippers. Two front curved pockets with cell pocket. Back darts and back waist belt for added shape and style. Side vents. Center back length: 29½ ". 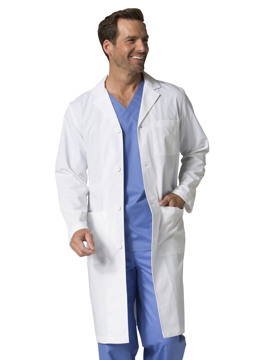 Men's trench style lab coat. 5 pockets: 2 outer pockets, 1 with hidden media pocket with earbud port, 1 with concealed flap, and 1 inside iPad pocket. 5 button closure. Hand access slits. Kick pleat. Trench coat detail on front and back. Center back length: 38". 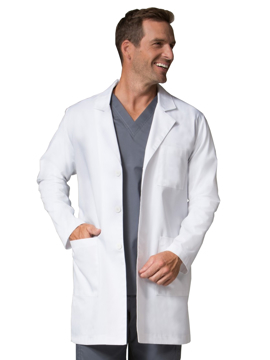 A modern, minimalist design makes this the most professional looking coat in the lab. Innovative sleeve design featuring hidden stockinette cuffs to keep sleeves out of the way. 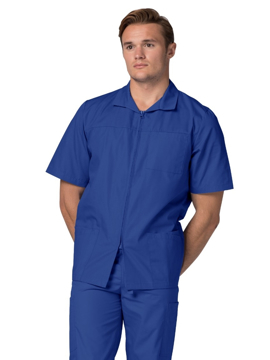 High collarless neckline, signature button closure, princess seams, set-in waistband and four lower pockets. Back fitted darts and vent. Center back length: 31⅛". 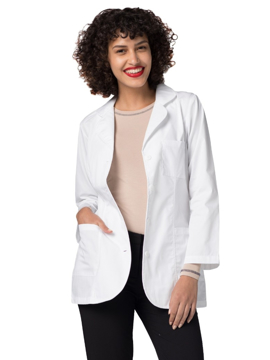 The perfect lab coat is here. The top-applied stitched-down collar and lapel keep you looking sharp, and the four-button placket with front and back waist darts provides a super-flattering fit. Side vents allow for full-range movement, and sleeve vent with faux two-button closure and back yoke makes for a professional presentation. And, we didn't forget the pockets. 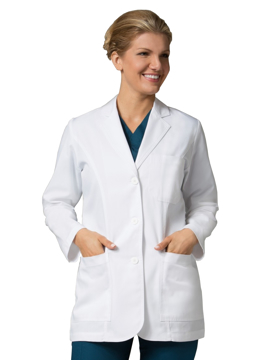 This lab coat features oversized top entry pockets with layered welt pockets. 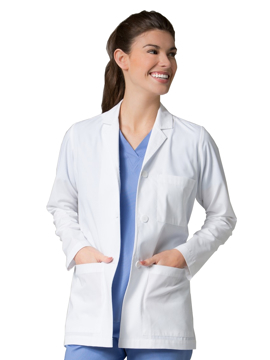 This lab coat features oversized top entry pockets with layered welt pockets, including instrument divider and internal tablet-sized pocket on left. Center back length: 32⅞".